In medical scenarios where more than one mattress must be used, for instance an air mattress on top of a static mattress, railing must be high enough to ensure patient safety from falls. 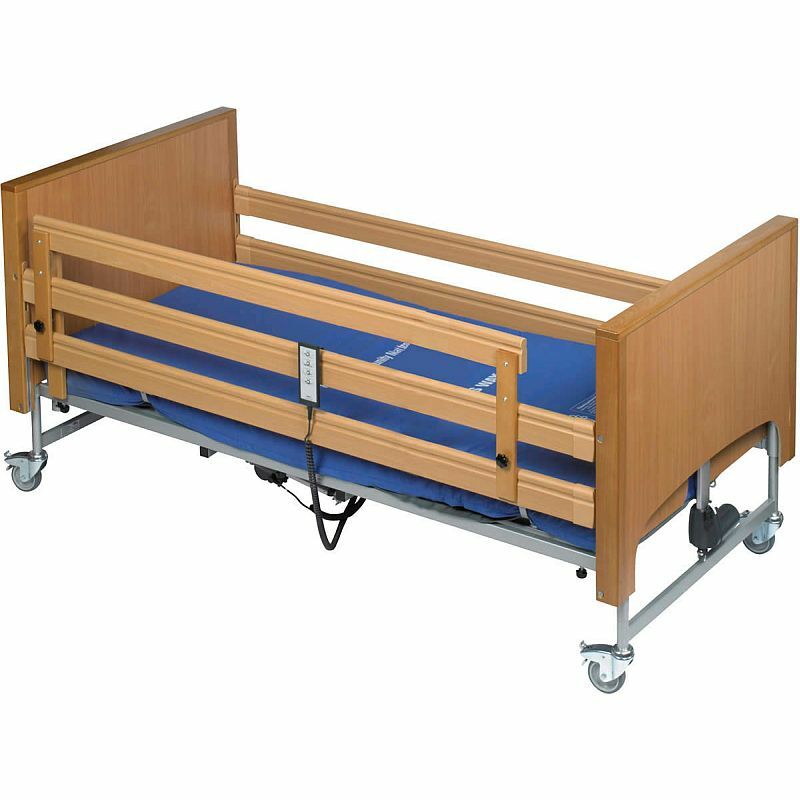 The Harvest Height Extension Side Rail for Woburn Profiling Beds is a wooden barrier that secures easily onto the existing bed rail of Woburn beds with pre-existing wooden railing, therefore increasing height to maximise patient safety. With this height extension side rail, the size of the rail is increased by an additional 200 x 1800mm, allowing carers to easily meet regulations for patient safety. Regardless of the depth or number of mattresses that must be used, medical professionals can be sure that patients are safe, bolstering peace of mind for carer and patient alike.